Citroen says an 'assertive' front end identifies DS5 as a member of the DS family. The car has an oversized air intake, large chrome-finished grille and a new LED light signature. 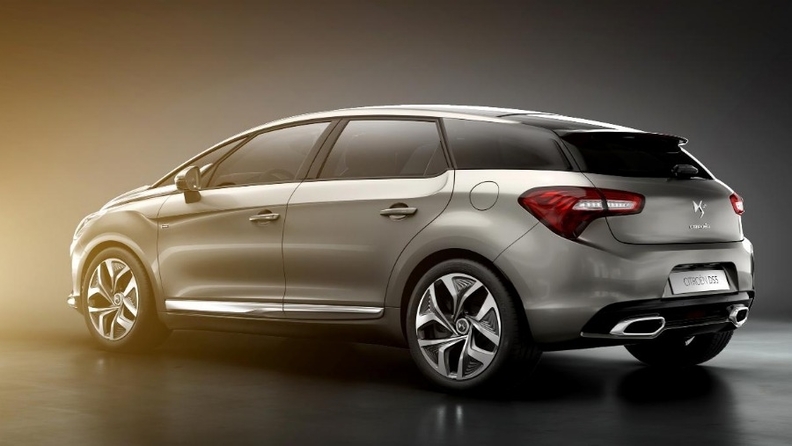 Citroen unveiled the DS5, the third model in its upscale DS lineup, at the Shanghai auto show on Tuesday. 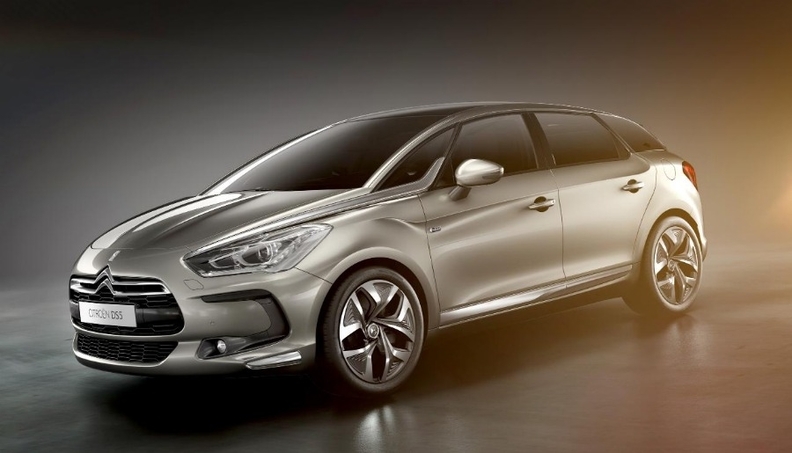 The DS5 will be the first Citroen car to offer parent PSA/Peugeot-Citroen SA 's diesel hybrid technology, along with conventional diesel and gasoline engines. Sister brand Peugeot is offering the diesel-electric drivetrain in its 3008 and 508 models. The system uses a 2.0-liter diesel engine to power the front wheels and a 27kW (36-hp) electric motor for the rear wheels, providing 200 hp but low CO2 emissions at 99 grams per kilometer. The DS5 has a higher stance than the C5 sedan. The DS5 is a five-seat crossover with a higher seating position than the C5 sedan. It will go on sale in Europe at the end of the year, joining the DS3 three-door subcompact hatchback and DS4 five-door compact car.